Even as Berlin loses green space, the city remains Europe’s greenest with more than 400,000 trees. 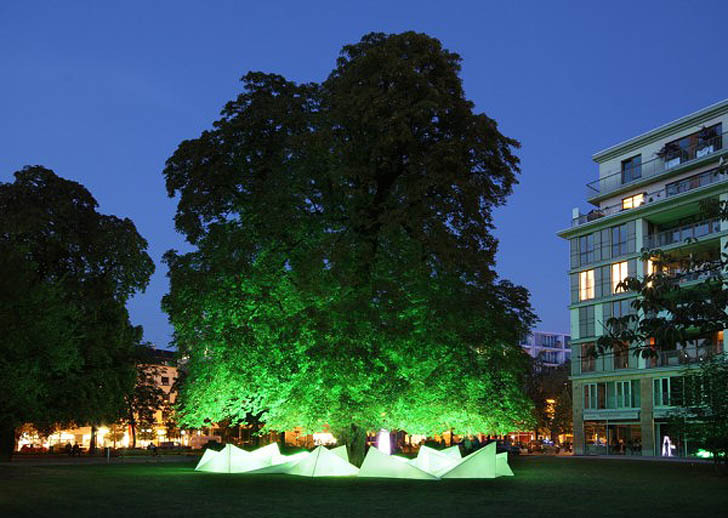 One of the grandest, a 100-year-old chestnut tree towering over Montbijoupark, was the center of Tree Concert, a public art project that took place in September to bring light, literally, to the city’s diminishing greenery with a glowing LED sculpture circling the trees trunk. 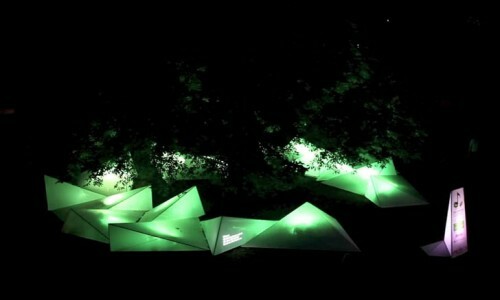 The project was a combination of audio and visual elements. As chestnuts fell one after the other onto a series of internally lit shapes covered with polymer membranes placed around the tree, ambient sounds emanated from hidden speakers creating a symphony for park goers. Tree Concert was put on by the ad agency Proximity BBDO Berlin and the environmental organization BUND for Environment and Nature Conservation Germany, inspired by recent years when more trees have been cut than planted. The groups also wanted to draw awareness that trees are not being properly maintained because of a lack of funding. Thus they created an easy way to donate through text messages from passing visitors. The design was executed by Gang of Berlin with music from Ketchum Pleon PR.